Home > Kara Isaac > October November Clash Champion! When Peter and Emelia cross paths on her first night in Oxford, the attraction is instant and they find common ground in their shared love of Narnia. But can the lessons from a fantasyland be enough to hold them together when secrets of the real world threaten to tear them apart? Cobblestone streets, an aristocratic estate, and an antique shop with curious a wardrobe bring the world of Narnia to life in Kara Isaac’s inspiring and romantic story about second chances. These authors are all a blessing! Please keep writing...You encourage us all! Keep writing, Kara! Love your books! Kara Isaac, I have just discovered your books and love them. Keep it up! I loved Kara Isaac's first book, Close to You, so am really looking forward to reading Can't Help Falling. I enjoy her style of writing. I recommended Close to You to my book club, so hopefully we'll be reading and discussing it sometime in 2017. I have read, and enjoyed, Can't Help Falling. As far as the covers, I have to vote for this one because what little you see of the guy's face, it looks like my son!! 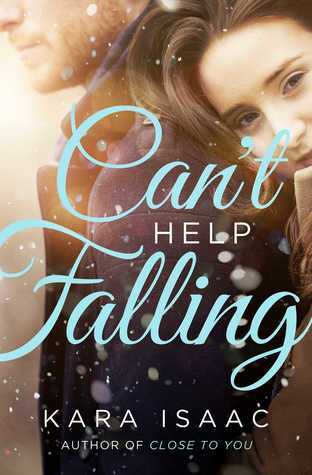 I won Kara Isaac's Can't Help Falling on a Facebook giveaway and was wonderfully surprised at how much I loved this book! The cover is amazing and it really catches the eye! I'm not familiar with some of these authors but really like some of them! Keep up the good work! Kara Isaac, you have such a gift bringing comedy, romance, and meaning to your stories. I love them!! Wish I could have picked two books here, because Can't Help Falling caught me just by the description. I'll be looking for this one! Kara Isaac lives in Wellington, New Zealand. When she's not working her day job as a public servant, chasing around a ninja preschooler and his feisty toddler sister, she spends her time writing horribly bad first drafts and wishing you could get Double Stuf Oreos in New Zealand. Her debut romantic comedy, Close To You, released April 2016. Her sophomore novel, Can't Help Falling, released in October 2016 and is an RT Reviews Top Pick. She loves to connect with readers on GoodReads, Twitter, Facebook and through her website.